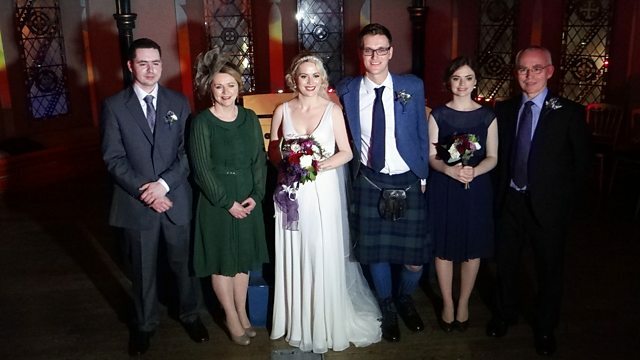 Joy Dunlop travels to Paris to meet Scottish couple Mhairi and Joe, who have decided to leave the romantic setting of the Seine behind and host their dream wedding in Glasgow. Tha am preasantair Joy Dunlop a' siubhal gu Paris gus coinneachadh ri Mhairi agus Joe à Alba a tha a' fàgail suidheachadh romansach na Seine air chùl airson a' bhanais aca a chumail ann an Ghlaschu. Carson a thagh Mhàiri agus Joe Glaschu an àite Paris airson na bainnse? Ullachadh airson an latha mòr agus a’ chiad deòir den là!